Conan has made his triumphant return! The superstar creative team of Jason Aaron, Mahmud Asrar, and Esad Ribic are bringing new tales of the sword-slashing hero to comic readers everywhere, and today, Marvel is proud to present this launch trailer for CONAN THE BARBARIAN #1 featuring Editor-In-Chief C.B. Cebulski, and Jason Aaron! “A good hero is always defined by a good villain, and Conan has some of the best. But for this storyline, we knew we had to come up with something special, so Jason Aaron came up with the Crimson Witch,” teased Cebulski. Don’t miss CONAN THE BARBARIAN #1, on sale now in comic shops, on the Marvel Comics App, and on Marvel.com! To find a comic shop near you, visit www.comicshoplocator.com or call 1-888-comicbook. 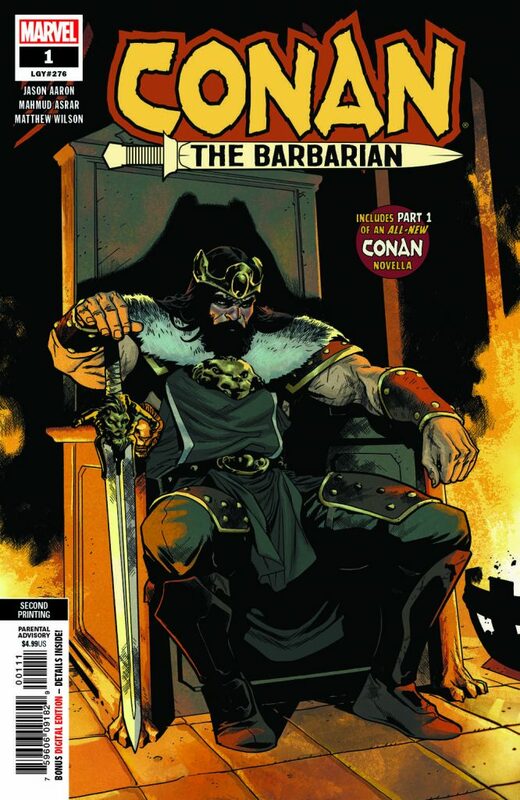 —Know, oh prince, that in the year 2019, the first two issues of CONAN THE BARBARIAN have gone back to print with CONAN THE BARBARIAN #2 selling out at Diamond before hitting stores! The world has spoken, and acclaim for the sword-slashing hero’s return to Marvel is triumphant! With Mahmud Asrar’s tantalizing art, Matthew Wilson’s sensational colors, and Esad Ribić’s stunning covers, and the start of Jason Aaron’s epic tale, CONAN THE BARBARIAN is a debut you will not want to miss. 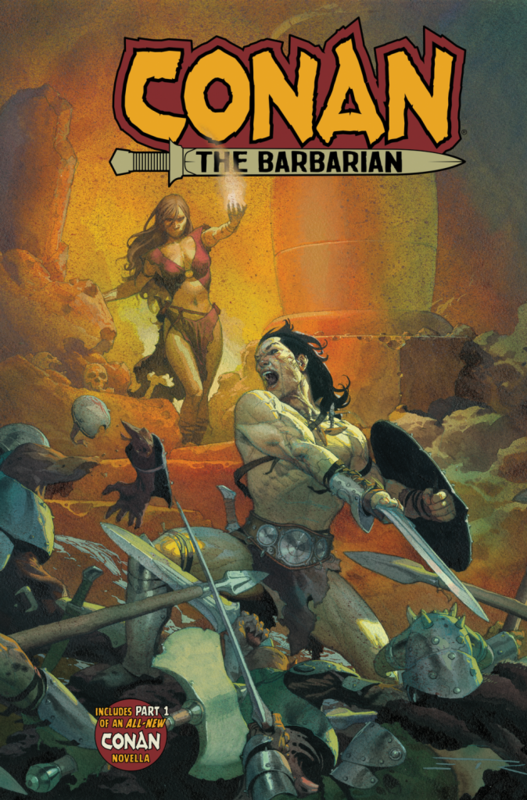 Newsarama calls the book “the best of both worlds – not only is it a solidly entertaining introduction of the Cimmerian to a whole new audience of readers, but a reverent adaptation that acknowledges the wealth of material that came before it” – and praise is high for the barbarian hero! “Conan is back home and better than ever. The sword and sorcery are top notch and the first issue is like a love letter to fans new and old. It’s hard not to come away from this issue and not be hyped.” – AiPT!